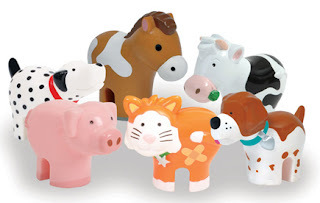 When the lovely PR of WOW Toys got in touch with me telling me about their recently launched range of pre-school toys called 'My Pocket Pets' in support of the animal welfare charity, the RSPCA I quickly replied and asked if they had any for reviewing purposes for my nephew who is animal mad! My Pocket Pet' are a set of collectable figure packs that are suitable for pre-school children from 18 months +. 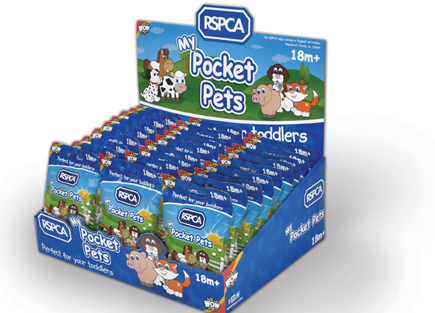 Each pack contains one animal figure plus an RSPCA fun activity sheet. This includes fun activities such as dot-to-dot, colouring in, an RSPCA cartoon and information aimed at teaching young children about animal welfare. The RSPCA cartoon and information sections explain the importance of animal welfare by listing the 5 main animal welfare needs, and the activity sheet’s cute cartoon details the story of Farmer Bill and Nasty Nick;a fun story clearly explaining how children can be conscious of animal welfare. We received two for reviewing purposes and both unfortunately was the same! As with all these type's of hidden packet series from all companies, unfortunately you can't tell what's inside, the good thing is, there is only 6 to collect unlike other companies which have many to collect. This will not be an expensive collection for children making all parents happy i'm sure! RSPCA My Pocket Pets will be on sale from early February with an SSP of £1.99. The line will be stocked in a wide range of high street and online outlets including Waterstones, Tesco, WHSmiths, Tesco Direct and Amazon and participating RSPCA outlets. The toys will also be listed in independent toy shops as well as a number of post offices and newsagents. WOW Toys have very kindly offered one of my lucky readers/visitors a chance to win 6 packets of My Pocket Pals, for your chance to win, enter the competition here.